It’s a startling fact that 25 million children in the U.S. cannot read proficiently and by the fourth grade, 63% of children are reading below grade level. There is a significant and cyclical literacy crisis facing America today and it begins with our children. As the nation’s largest children's literacy nonprofit, Reading Is Fundamental (RIF) believes every child deserves an opportunity to own books, learn how to read, and obtain the fundamental building blocks to achieve their highest potential. In partnership with a grassroots network of 1 million volunteers in schools and communities nationwide, more than 415 million books have been distributed impacting the lives of more than 50 million children. In addition to books, RIF works with educators, parents, and literacy volunteers to create a culture of literacy for all children by developing content and resources that produce measurable results and makes them available on our digital platform, Literacy Central. This award-winning, online library provides thousands of digital resources tied directly to the books children love and teachers use every day in the classroom. 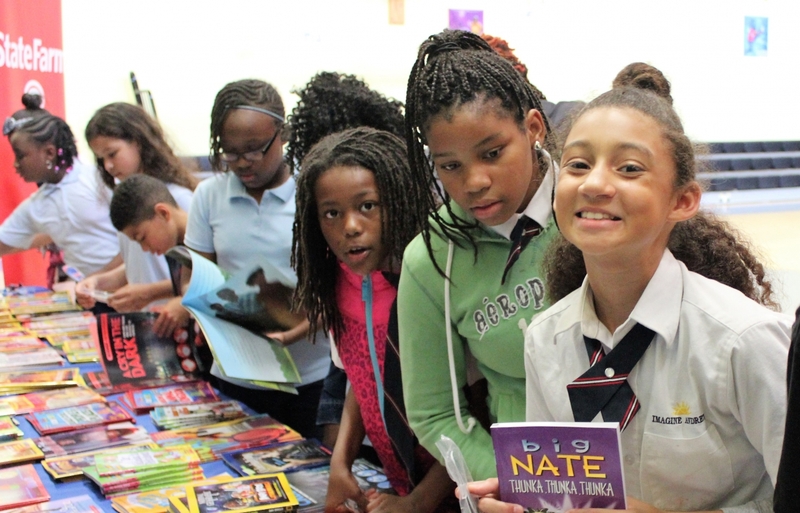 In celebration of National Reading Month, RIF launched a month-long celebration filled with resources and activities to support and highlight the transformative power of reading. This celebration includes Million Book March, a campaign that encourages kids, parents, teachers and volunteers to read one million books in the month of March. An online counter is available on our website at RIF.org/millionbookmarch for children to add their books to and inspire a passion for reading among all children. RIF has provided resources to help get you started on the Million Book March including a suggested reading list with a book for each day of the month, games and activities ,and promotional materials for the classroom. By participating in the Million Book March, you share the importance of reading in a way that is fun, exciting and supportive. Literacy is an essential life skill that provides the foundation for a lifetime of opportunity. During March and throughout the year, your workplace giving contributions helps RIF give kids the confidence to strive because literacy opens the doors to a better life. Support Reading Is Fundamental Through Your Employee Giving Program! As Reading Is Fundamental’s workplace giving partner, we encourage you to support RIF's important work with a donation. One of the most cost-efficient ways you can support RIF is to donate to them via payroll deduction through your employer's workplace giving program (Don't have a program? Click here to have your employer contact our team.) You can also click here to donate via credit card on RIF's website now. What Can Your Donation Provide? *Pay period calculations based on 26 week per year pay schedule.